The studies developed by the authors in this area, since its beginning in the 1980s, articulate three axes of academic production: conceptual, methodological, and empirical (research and practice). They were simultaneously addressed to answer relevant questions to any person at a first contact with the area. Examples of frequent questions derived from an initial contact were such as: what social skills are, which their fields are, which their processes and their scopes are, what characterizes a Social Skills Training, and how it links to cultural issues of social living. Answers to these and other questions allowed to identify theoretical and conceptual issues associated with different aspects and practices in vogue in the historic moment in question. Considering the first mentioned axe, one can note the conceptual development presented in the literature and, particularly, in our last book (Del Prette and Del Prette, Habilidades Sociais e Competência Social: Manual teórico-prático [Social Skills and Social Competence: a theoretical-practical handbook], 2017). which systematizes the key concepts of the area, proposing the centrality of the notion of social competence, as well as its requirements and criteria for orienting evaluation and intervention. The methodological axe is the development of inventories, resources, and assessment procedures (for children, adolescents, adults, and the elderly in different social roles), associated with the studies of characterization of the nonclinical and clinical populations and implications for practice and research. The empirical axe is the development and improvement of the experiential method for programs for the promotion of social skills and social competence, together with studies of the effectiveness of these programs with diverse clienteles and contexts and related to different problems and goals of health and quality of life. 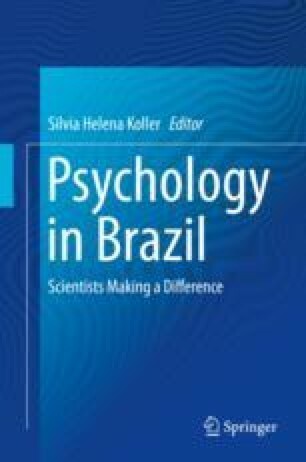 The advancement of the area derived from these issues (research, conceptual, and practical) counted on the collaboration of researchers from Brazil and abroad, as well as involving undergraduate and graduate students. The systematization of the conceptual basis and the development of instruments and procedures for the evaluation and promotion of social skills were important to guide empirical research and to improve the intervention programs. The empirical researches also generated remaining issues for the improvement of instruments and for the conceptual reworking. Our contribution in the field of social skills is being recognized in other countries by validation of the instruments (especially in Argentina and Portugal) and the increase of citations to our studies published in Brazil and abroad. The academic production on the theme has been generating what can be called “the social skills movement in Brazil.” One can measure this movement by the involvement of professionals and lay public in events and books about social skills. Due to its relevance to health and quality of life, outside the academic environment, this production is being used by the practitioners, especially with families, schools, organizations, and clinical care. Thus, it characterizes processes of dissemination that make this knowledge accessible to the greatest number of people. We expect that the available knowledge is even more widespread and constantly leading to new conceptual issues and research applied to different sectors of interpersonal relations.